For our partner Kross Racing Team, the 2019 season will be unique in many respects. The team, which so far has focused on two main goals - the World Cup and the World Championships, will take part in a totally new event - The Absa Cape Epic. A merciless stage race in South Africa, with traditions dating back to the beginning of the 21st century. The International Cycling Union (UCI) has labeled it the highest possible category - SHC. Despite the fact that the debut takes place in Africa, the members of Kornel Osicki have not made their intentions to play the leading roles a secret. Kross Racing Team is a Polish professional cycling team, participating in global bicycle routes for over a decade. 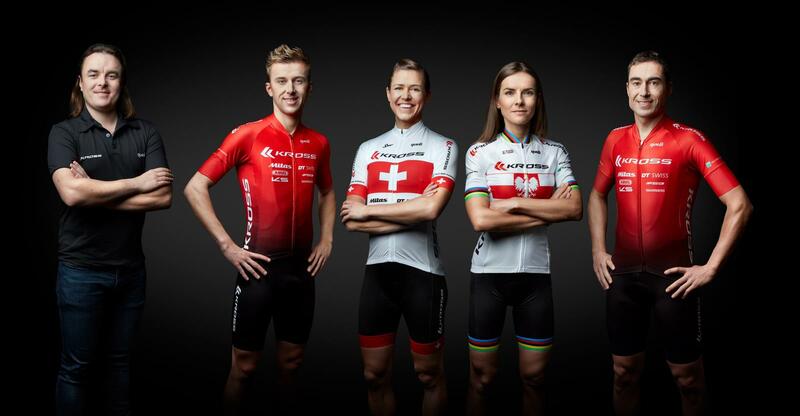 Before the launch of the 2019 season, the Maja Włoszczowska team was united with Ariane Lüthi, Sergio Mantecón and, Ondřej Cink. The focus of the restructured team includes three main objectives: The World Cup, World championships, and The Cape Epic. In the long run, the team will also prepare its members to compete at the Olympic Games in Tokyo. The team is headed by Kornel Osicki. KROSS is a leader in Poland’s bicycle market. The company was founded in 1990, and it’s range of bicycles within the “Le Grand Brand”, include, among others, urban electric bikes, recreational bicycles, and the first model city bikes from the Originals line. In terms of sports sponsorship, the company supports Kross Racing Team, Delikia Kross, MTB Team as well as athletes: Igor Tracz and Bartek Huzarski. The bicycle brands are based on original and innovative technologies, and are manufactured in Przasnysz near Warsaw. The founder and owner of the company is Zbigniew Sosnowski.